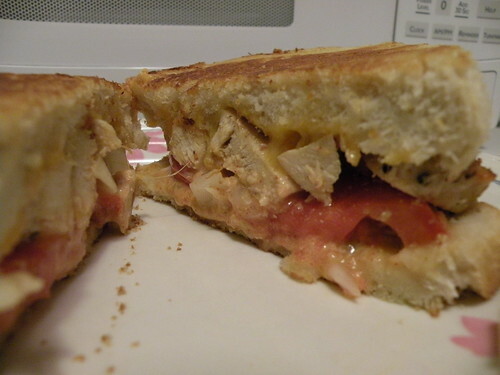 this is a multi-purpose sauce that can be used on quesadillas, paninis, burgers, etc… it is pictured on my southwest chicken grilled panini. butter the outside slices of bread. spread the jalapeño sauce on the opposite slice, top the sandwich.